A new report has estimated that around 4.6% of premises in the United Kingdom could be affected by full to capacity FTTC (VDSL2) based “fibre broadband” street cabinets on Openreach’s (BT) network, which is up from 4.1% in April 2018 and might stop you from being able to order a new service. We first covered the challenges of “full” street cabinets and their impact upon consumers in 2016 (here), which explained why such cabinets fill up, the problems that it can cause and how long it may take to resolve via upgrades (i.e. anything from a few weeks for a simple line card change to several months or possibly longer if additional civil engineering is required). During that same year we understood that 1,970 of the then 77,033 live VDSL2 street cabinets were full and awaiting an upgrade (around 2.6%). Back in March 2018 several ISPs informed us that Openreach’s official figure was around 3% for cabinets stuck on a waiting list and a report from September 2018 said the same. Meanwhile Thinkbroadband have continued to run their own independent analysis, which in April 2018 put the figure at 4.1% (here) and this has now risen to 4.6% (i.e. it impacts 3,120 out of the 81,409 VDSL2 cabinets in their database). The data found that around 90.2% of the UK can order a superfast broadband (30Mbps+) service via Openreach’s network, but this drops by -4.5% points due to full cabinets. NOTE: The “all tech” figure below includes the impact upon availability when considering all networks, not only Openreach’s. Take note that TBB’s data only considers the impact of capacity via Openreach’s national network and not that of other platforms. Different networks handle different types of capacity issues in different ways and not all are as transparent about such issues. Unfortunately if you happen to live in such an area then this can cause frustration when attempting to order a new Fibre-to-the-Cabinet (FTTC / VDSL2) based package or migrating your service, particularly if the ISP accepts the order and begins the switch only to later tell you that they cannot complete it. Mercifully ISPs have got better at reporting when cabinets are stuck in the waiting queue for new capacity, but support staff don’t always correctly reflect this to new customers. On top of that there remains a lot of uncertainty over the question of how long consumers will have to wait before the issue is resolved. “Resolving issues that can cause delay in adding extra customer capacity in our network is a top priority for us and we have made significant progress over the year in reducing average waiting times. 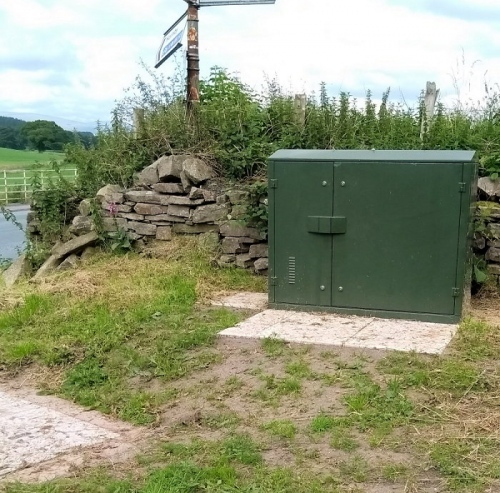 We have introduced a number of innovations such as fibre connectivity that uses power from one existing fibre cabinet to power a second cabinet – which has helped reduce the build time taken to commission and build new fibre cabinets by up to 12 weeks. We’ve also introduced a raft of new measures to help speed up the building of extra capacity into our copper cabinets, such as cabinet top boxes which extend the size of our cabinets creating space for the extra connections required to provide additional fibre capacity. In addition, we are working closely with our vendors Huawei and Nokia to develop quicker alternatives to building new fibre cabinets – which can traditionally take up to nine months to complete. We are about to launch technical trials for a fibre cabinet side-pod and new fibre cabinet equipment capable of supporting double the current capacity. Following successful trials we are aiming to start deploying this kit in the next financial year. We should point out that in some cases Openreach’s may need to build an entirely new cabinet in order to cater for rising demand, which can be problematic due to labour / hardware costs, the need to seek planning permission, permits for road access, wayleave agreements, power supply requirements, local objections and so forth. In addition, local demand is something that can go up as well as down, particularly if a rival network enters the area and steals away some of Openreach’s users. Installing more capacity than needed can carry an extra cost and so this is one of the reasons why big operators often prefer to scale as demand grows, rather than cater for 100% of local lines from day one. My cabinet is currently fully. I found this out when trying to order fttc for a family member who lives 5 doors down from me a few months ago. It’s still full,there is now work going on at the cabinet but I’m unsure if this is to make room for capacity or to fit g fast. Steal implies these customers belong to Openreach! It’s also a common turn of phrase and probably shouldn’t be taken too literally. There is no such thing as an Openreach user. Openreach are just look after everything technically no matter who the provider is. I think 5G will free up quite a few slots. Open Reach (& BT) Lie, or are, at least dishonest. I live in rural N. Norfolk. We were advised by Open Reach that out green cabinet was “” in the testing phase”” – this being the case when I asked the government body for a grant to install satellite internet, I was refused as Open Reach said they were within 4 weeks (average) of finishing. The latest date is end Dec/18…. Do I believe this – NO! I have tried EVERY means to expedite this to no avail. THE GOVERNMENT HAS NOT SPLIT OPEN REACH OFF PROPERLY FROM BT!! I DEFY ANYONE TO GET DEFINITIVE INFORMATION FROM OPEN REACH, LET ALONE GET THROUGH TO ANYONE OF CONSEQUENCE. THIS IS MONOPOLY BUSINESS AT IT’S WORST AND ITS ALLOWED UNDER A CONSERVATIVE GOVERNMENT – SHAME TO ME FOR BELIEVING THEM FOR ALL MY LIFE. Could not agree more Peter. Openpray.are a bunch of jokers who cannot be called a broadband infrastructure service provider by Any level of service measurement. They should be banned from installing fttp or g.fast until all cabinets in the country are made into at least fttc to achieve somewhere near a level playing field for all Commercial bb providers. The toothless ruling body Ofcom are also utterly useless in terms of ensuring an equality of service over the Openpray network. Caps is just tiresome – don’t do it. Splitting OR woulnd’t suddenly give you a cabinet – it would probably delay it. There is no capacity in my cabinet even though most of the people living in the area are of an age that they have no interest in the internet. Where a customer takes up Gfast does this then free up a VDSL 80MPS port for another person to use in the same cabinet? And what if someone on Gfast wishes to downgrade to FTTC 80MPS but the ports are all taken, what happens then? Or can the existing gfast port be used to downgrade to the FTTC 80 MBPS service? Correct me if I’m wrong but I think you stay on the fttc port in the cabinet and the gfast port just enhances the signal so to speak. so there will be no free port, and if you go back to 80mb fttc you just stay on the port in the cabinet but don’t have the enhanced gfast port active. Happy to correct. When you move to G.fast you do indeed free up a port. Your line is no longer going through the FTTC DSLAM. G.fast and VDSL are completely independent of one another. The G.Fast Line cards can support VDSL but whether they will configure this is upto Openreach. This all dates back to the Government’s and hence Ofcom failure to ensure that broadband was considered an essential utility from the start. BT (hence OR) always had a telephony obligation but never a broadband one. DSL technologies offered an interim solution but from the start all parties knew we needed fibre. The future requirement was ignored during ADSL and again with the introduction of FTTC and fibre was still ignored as commercials changed. Without the essential requirement commercial companies have to make a ROI and therefore calculate capacity based on forecast demand/take-up. FTTC, VM and FTTP will all be provisioned in this way. Some technologies and practices are easily to augment than others but similar debates will be with us in the future. It’s like a water company only provisioning 50% of the capacity needed and allowing low water pressure. g.Fast, FTTP and 4G/5G will assist but it will not help those in areas where FTTC will remain the only choice for some time. The low take-up forecasts in BDUK areas also didn’t help so how Gov/Ofcom can keep saying 98% are covered by Superfast but a good percentage of people can’t get it they actually asked for it beats me. We are running out of existing capacity and FTTP is a long way out for many. Ofcom need to ensure investment (all) is focused with 100% coverage obligations and registered in advance so that any augmentation investment is also focused. Their current strategy is to have multiple Ultrafast (or better) for some, FTTC for the many and others still languishing on ADSL or none even with the USO. OR must be allowed to increase revenues for investment, FTTP overbuild by providers should be discouraged in the short term and more honesty needed regarding status of UK broadband. Well that’s certainly the problem. Ofcom has been far more interested in brining prices down than allowing a strong margin and mandating better tech as the price. ‘We are running out of existing capacity’ Where? You cannot say that is the % of UK premises. Does anyone know what the average turn around on FTTC cabinets at capacity is? I’m moving to a new house in a month, and it’s gone from full, to available for a week, back to full. Can’t get any answers from Openreach, BT, or Google. Thanks. Openreach have told me there’s so current plan to up the capacity. How long could I be waiting? Im still early on in house buying process and sadly this is a big enough issue that if an upgrade is 1+ years down the line, Ill look elsewhere! Its so disappointing, as this only exacerbates the London bubble, and this is a bloody commuter down I’m looking at.